I think that we get so used to being stuck by strongholds that we forget to actually live. My anxiety is horrible some days, I honestly don't feel like I can do much besides just being alive. Sometimes I over analyze a situation other times I am going over unreasonable fears inside my head. Even though I know realistically that none of it would ever actually happen, I end up playing these in my head over and over again! What do we do doing during times like these? 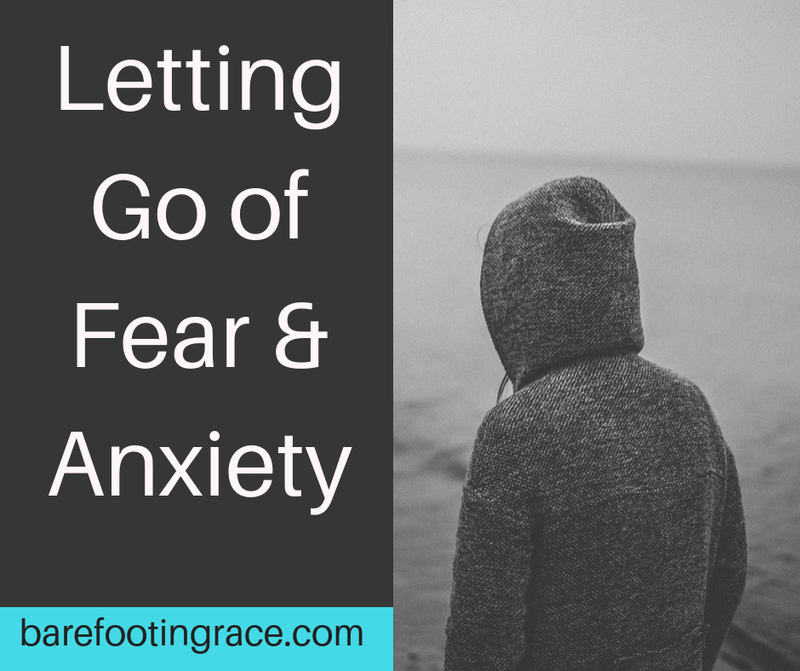 When battling anxiety and fear seem to go hand in hand. Although its hard I try to remember that God didn't call me to live like this, we where called to live joyously. The devil doesn't play fair and one of his tactics is to use your thoughts and fears against you. In those moments it's important to cling to scripture. Even when adulting is hard, life is hard and things are falling apart around you it is important the remember Gods Promises. "In my distress I prayed to the Lord, and the Lord answered me and set me free" Psalms 118:5. Fear isn't from God, that isn't something that God wants you to feel. Fear is the devil speaking to you, attaching your heart and mind leaving you worried all of the time so you can not experience the joy of the Lord. 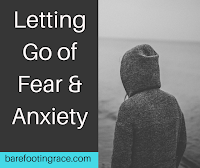 We have to make up our minds to heal these fears so they don't cost us our marriages or our families because we all know that over time fear eats away at the things most important to us. The scripture above is a powerful one, the Lord will free you from all of your fears, he wants us to live free. When you are letting fear take over trying to focus on the good in your life. Find some Christian music that will help soothe your anxiety, I have a few favorite songs I will list down below. Try coloring or bible journaling, something to take your mind off the anxiety and fear. It's so easy to forget when we are wrapped up in fear that we serve a God that will train us for any and all battles. He will equip us for any and all battles, all we have to do is believe. When we are feeling too weak to fight for us, he will fight for us. I know that life isn't all rainbows and butterflies, I can tell you that from experience. Suffering as an adult from depression is exhausting along with all of the daily tasks that need to be done, keeping up with the homework, the dishes, the chores. Sometimes we have to take a pause and remember that we walk with Jesus every day, if we called upon him like we called our best friend hen times to get tough, maybe our hearts would change and the outcome would be different. Before you go to bed tonight, write a letter or say out loud what you need from Jesus. In prayer time today, ask Jesus to remove the cloud from above your head, to take the depression away from your heart. Declare that you are going to be healed, and believe it with all of your heart. We have to actively chase healing, otherwise, the devil will sneak right back in and steal your joy. Don't let the devil trick you, Jesus loves you. All of you, even the parts that you are afraid to be shown. Jesus is our hope in now and in the future. One of the things that I am most afraid of, is passing the fear down to my children. I don't want them to be pre-programmed per say with their moms' fears and anxiety. I want to instead pre-program them not to worry about anything but to pray about everything. It seems simple enough to tell God what you need, along with thanking him for what he is currently doing so we can experience his amazing peace. The older I get the more I thirst for the peace that we get from Jesus alone. I have spent years in depression, worry, and fear that I had forgotten what peace felt like. The past few years I have given it all over to Jesus, this past year I have given an even bigger part over to him. I have noticed a difference this past year with my depression slowly getting a lot better. The anxiety attacks are starting to become less and the panic attacks fewer and more far between. I still have hard days, but I try not to let those days define me in my journey with Jesus. A few other things that help me when I am having a hard day is to simply read an encouraging book, extended worship time with the lord, take a nice walk,and anything that makes your soul happy. Sometimes I like to bake, I think that baking bread is soul calming. Not only the act of making it and rolling it, watching it rise and baking it but then seeing your family eat it and enjoy with a nice cup of hot chocolate on a winters day is peaceful. When you're stressed out, trying closing your eyes and thinking of your most amazing day. For me, it would be having my daughters play outside in the snow with my husband, something baking in the oven making the house smell inviting and leaving a warm feeling behind. Hot chocolate warming on the stove to warm their cold hands when they come in, with Christmas music playing in the background as I sit and watch the day unfold. One more thing, don't forget to rest. As mothers especially we forget to take time to rest. We are better wives, moms, and humans if we take a moment rest. When you are struggling mentally its so important to take nap, sleep in, plan a day of watching movies rather than running around with your children. Its ok to order a pizza, eat frozen nuggets and just enjoy being together. Give yourself permission to just simply rest. These are my thoughts & things that helped me, none of which is medical advice. If you are feeling depressed please see your doctor. Don't be afraid to reach out to your friends, family, pastor, church, or anyone else. They will help you!